The world of pool riders of Southern California is different from the rest of the mainstream (read street) skateboarding. Pool riders value Juice magazine, not Transworld or Thrasher. They value Santa Monica Airlines, not Girl ; Bones, not Hubba. It’s a world where a secret pool is worth a thousand street spot. It’s a world where wearing 187, Triple 8 or Kanoa-Flyaway has infinitely more value than By Sheckler, or Zoo York clothing. A world where all skaters are brothers and have mutual respect for each other regardless of their level or their age. It’s a world of knighthood and chivalry and nobility. Just take a look at how Hosoi walks when he is not on a skateboard and tell me if he does not have royal blood in his veins! Pool riders skate bigger boards, bigger and harder wheels. They go into deeper pools like if they were Heavens. It’s a world where skate is not flat and static, but perpetually in motion and in curves ; in aesthetics, not in boredom technique. We’re not playing the game of S.K.A.T.E here! And all this transpire in Kiko Francisco attitude. Kiko has a lot to do with Asher. Except that “Asher is only six” and Kiko is eight. Except that those two are already rivals and they are not even in their teens! Except that even if the two go to the same skateparks their flows never cross. It’s like wrongly comparing a Chilango and a Chicano: they are both brothers from the two biggest Mexican Cities in the world (Mexico and Los Angeles) but there’s a world of difference between them! Aguas Vato! Between Kiko and Asher, the future looks great and magnificent. Wait until they take turns to get on the #1 spot at the X-Games and become Legends! 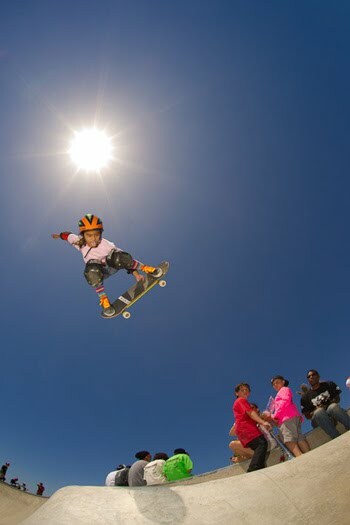 But, already, Kiko and Asher both skate with legends like Hosoi, Lance Mountain and Tony Alva and find this perfectly normal, regardless that several million skaters would die just to get an autograph from them. By skating with the best of the best, you are mimicking them. As the say goes: Monkey see, monkey do and chances are that one day, Asher and Kiko will be as famous as Tony H. and Danny W.
The world of Kiko Francisco reveals the legacy 0f 40 years of Dogtown and surfing, in a place where style is still the essence, where skaters are still searching for Animal Chin in a state where Endless Summer is the rule and the sky’s the limit. This interview with Kiko was long overdue: for starters, we began talking about it in November 2009, but scheduling never worked in my favor, although I was a lot at Venice (Kiko’s preferred skatepark), but always on weekdays (Kiko goes there on WE), then I went a lot to Belvedere, or Etnies, or Chino (Kiko don’t really go there that often). The connection was kinda lost until I started to go often to Vans where we reconnected and finally we made the interview on July 7th. But that Wednesday was also the day I broke my wrist in pieces (and badly hurt my other hand) in the square pool and was unable to type on a computer for the following 3 weeks, let alone go back to skate. So the transcript and the editing just laid there waiting for a quick healing and the interview had to be delayed again. Today, my wrist is better, look Ma’ I can type with both hands and I’m on my way to a full recovery, although folks laugh at me and say I will never be able again to take a plane without turning on the metal detector because of all the screws and metal plates that the surgeon inserted in my bones… Oh well, I guess that’s a small price to pay to be able to skate again soon and deliver the story of a future legend: Kiko Francisco. Kiko Francisco: Oh, you have a skate. Where do you skate? 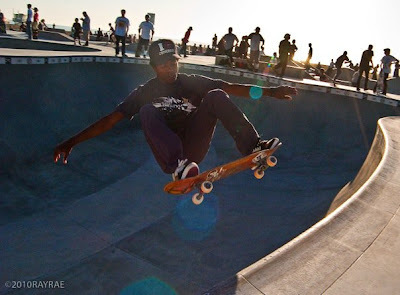 ISTIA: I skate at Venice. I took a lot of pictures of you at Venice, you don’t remember? ISTIA: How often do you skate at Venice? Kiko Francisco: Every week end. I stay there five or six hours. Every Saturday and every Sunday. ISTIA: Who do you like to skate with when you are at Venice? Kiko Francisco: Pat Ngoho, Jessie Martinez, Shane Borland, Eric Tuma Britton, Bennett Harada. ISTIA: Who do you prefer? Kiko Francisco: Eric Tuma Britton. ISTIA: Does he teach you tricks? ISTIA: How high do you go? ISTIA: When was the first time you went to Venice? ISTIA: What other contests did you do at Venice? ISTIA: What do you prefer, the big pool or the snake or the street? Kiko Francisco: All of them. ISTIA: Where else do you go to skate? Kiko Francisco: Channel Street , it’s in San Pedro, the Cove in Santa Monica. ISTIA: How often do you go to the cove? ISTIA: So you’re going on Friday at The Cove, on Saturday and Sunday at Venice and when do you go to Vans? Kiko Francisco: Every Wednesday and on weekends when it’s raining. ISTIA: You are training a lot of days in the week, do you wanna be pro? Kiko Francisco: Yes. I want to be pro. I wanna do vert and bowls. ISTIA: Do you do street too? ISTIA: Did you skate Vans before they redid the concrete? ISTIA: What do you prefer: the old Vans or the new Vans? Kiko Francisco: It’s better now, because the other pool was more slippery and rougher. ISTIA: What do you prefer, Vans or Venice? Kiko Francisco: Both. But Venice is more difficult. Kiko Francisco: Because Venice has no waterfall and you have to pump a lot, you always have to stay on the side of the bowl. ISTIA: So Vans is easier than Venice? ISTIA: Ah… OK! BTW, How old are you? ISTIA: When did you start skating? Kiko Francisco: When I was four. Kiko Francisco: My dad. When he was younger, he skated everyday. ISTIA: When did he stop? Kiko Francisco: When he was 18. ISTIA: What board did you have when you started? Kiko Francisco: My Dad’s skateboard! ISTIA: What kind of wheels do you prefer, hard, soft? Kiko Francisco: It depends. On a longboard, I prefer soft, if you are a street eater, I would put small wheels, like 50 or 52 or 53’s and if you ride bowls like a vert ramp, I prefer 60’s. ISTIA: Me too, I have 60’s 100A. How about you? Kiko Francisco: There’s no hard like 100! ISTIA: Yeah you wanna try? 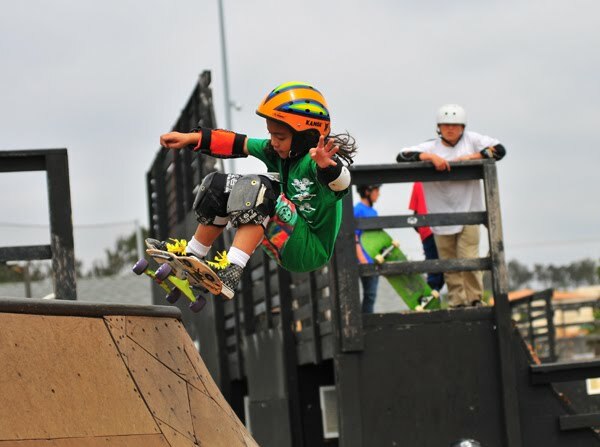 Kiko Francisco: Santa Monica Airlines, Creeper trucks, Flyaway Helmet by Kanoa and Maui and Son’s. ISTIA: Who do you know at Santa Monica Airlines? ISTIA: Do they sometimes ask you to go and skate with them? ISTIA: What contests have you been in? Kiko Francisco: The King of Groms, CA State Games and The Slam at Volcom Skate Park. ISTIA: What tricks do you prefer? ISTIA: Which trick is the most difficult? Kiko Francisco: That’s backside air. ISTIA: Of course you know you are famous! Do you know people watch you on You Tube and Facebook? ISTIA: Have you seen the pictures he his taking? ISTIA: Ray is at Venice all the time? ISTIA: But, Isn’t he living in Venice? Kiko Francisco: I don’t know. ISTIA: Have you ever been injured? Kiko Francisco: I sprained my right foot and that’s it. ISTIA: Your dad helps you? Kiko Francisco: Yeah, my dad is teaching me stuff all the time. He tells me I can do it, that I need to practice. ISTIA: Have you been to the contest at Volcom? Kiko Francisco: Yeah, I got seventh place out of sixty skaters. ISTIA: Did you win a prize? Kiko Francisco: No, I didn’t win any prizes but I had lots of fun. 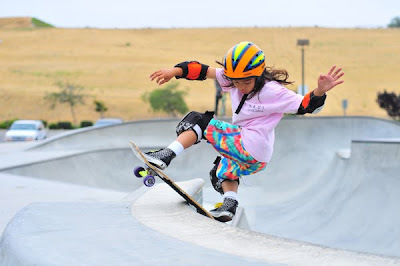 ISTIA: Have you been to skateparks outside of California? Kiko Francisco: Yes, I went to Vancouver, Canada. My mom grew up in there so we have to visit there every year. And then, my dad said, we have to find a skate park to skate. I like Canada, but its kinda cold. Too cold. ISTIA: Do you have brothers? Kiko Francisco: No, I have two sisters. One is sixteen and one is fourteen. Kiko Francisco: They used to skate but not anymore. My sixteen year old sister likes to go to the movies and to church. And then, the fourteen year old, she just stays home and clean the house, goes out with her friends sometimes, watches TV, she plays basketball with me outside. ISTIA: What do you do when you are not skating? Kiko Francisco: I play basketball, RC and video games. 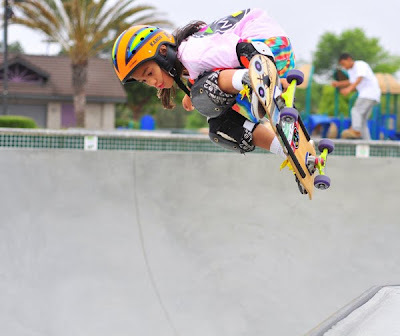 ISTIA: If you couldn’t skate, what would you do? ISTIA: What do you draw? Skateboard and skateboarders? Kiko Francisco: Na. We have just started. I have to learn the primary colors and the secondary colors. I really like it. It something I wanted to do and I asked my dad. Also, I take piano lessons. ISTIA: Are you a good player? ISTIA: What do you play? Kiko Francisco: Harmony. (Kiko is pointing at my tee shirt) Hey, What’s in you tee shirt? ISTIA: This is a kind of drawing that I have made for my website vaguely inspired by Lake Cunningham, in San Jose. You have never been there? Kiko Francisco: Is it big? Kiko Francisco: Big like you tee shirt? ISTIA: No, I made it bigger on my tee shirt. You know who is going very often there? ISTIA: He won the Protec Pool Party contest! Kiko Francisco: I know him! Kiko Francisco: That’s hard, there’s a lot of them! 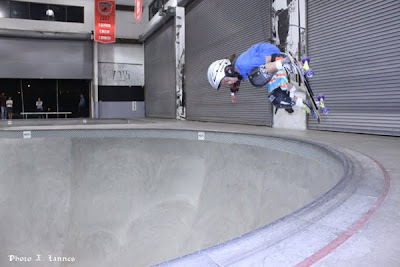 ISTIA: Do you think Christian Hosoi is old school? Kiko Francisco: No! He is in the middle. ISTIA: Who is old and rad? Like, man that guy must be 50 but he’s rad! 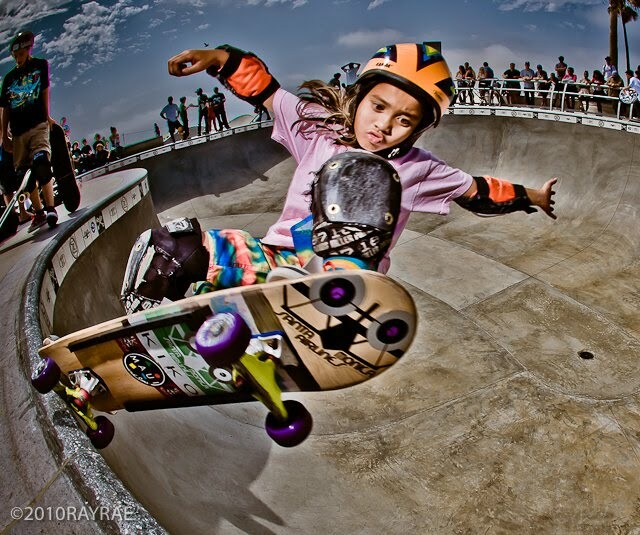 ISTIA: Have you skated a lot with Tony Alva? ISTIA: Do you like the pool at Culver City? ISTIA: Which pool is more difficult: Venice or Culver City? ISTIA: But Culver City is deeper than Venice! ISTIA: Where you ever afraid to drop in those big bowls? ISTIA: How about the first time you dropped in a bowl? Kiko Francisco: Ooooh Nooo! I don’t think so. I always skate with pads. I always wear my pads in a pool. ISTIA: Why is it that street skaters don’t wear pads? ISTIA: Do you go to church sometimes? Kiko Francisco: Yeah, I go to church once a week. I go to church every communion day. I go to a Methodist church in Carson. ISTIA: That’s where you live? Kiko Francisco: Yeah, I live in Carson. ISTIA: What grade are you in? Kiko Francisco: Oooh, that’s OK.
ISTIA: Ok, like OK good or OK not that good? Kiko Francisco: That’s OK good. ISTIA: What do you prefer? ISTIA: What’s your favorite book? Kiko Francisco: Yeah, I saw, “Grown Ups”, and “Despicable Me” recently and all the Disney movies. ISTIA: How about skate videos? ISTIA: You have a lot of skate videos at home? Kiko Francisco: I have more than 20. Kiko Francisco: No. Not all of them! ISTIA: Would you like to have your picture in Juice Magazine? Kiko Francisco: I’m already in Juice Magazine! ISTIA: Oh, yeah, you advertised for Flyaway Helmet! ISTIA: Yeah, I saw you! That’s cool! ISTIA: Is there something else you wanna say? Photos by Joe Francisco, Ray Rae, Matt Fisher and X. Lannes. All photos used by permission. Thanks guys, you rock!! !